Even though there is less traffic on the roads at night, the number of car accidents goes upwhen the sun goes down. The reasons for this are many. At night not only is visibility diminished, but the artificial lighting on the roads can sometimes cause distracting glare that could temporary blind drivers. In addition you are also far more likely to find drunk or drowsy drivers behind the wheel at night. Reaction times are diminished in low visibility situations. Couple all this with adverse weather conditions and you can see the potential for disaster. According to the AAA Foundation for Traffic Safety, fatal crashes are four times higher at night than during the day. If you are in the market for a dash cam for your vehicle, these statistics reveal that any dash cam worth buying should come with night vision technology. Most people do just as much driving at nigh as during the day, and while most dash cams come with night vision as a standard feature, some are clearly better than others. What separates a great camera from a good camera is the quality of the picture it can record at night. Some night vision cameras boast super clear footage, good enough to read license plates and minute details regardless of how much external light there is. Others are less advanced and capture only the basics of what is illuminated by a car’s headlights. It would be unlikely that you would be able to try out dash cameras at night before you make your purchase, but fortunately for you we’ve assembled here our list of best dash cams with night vision. 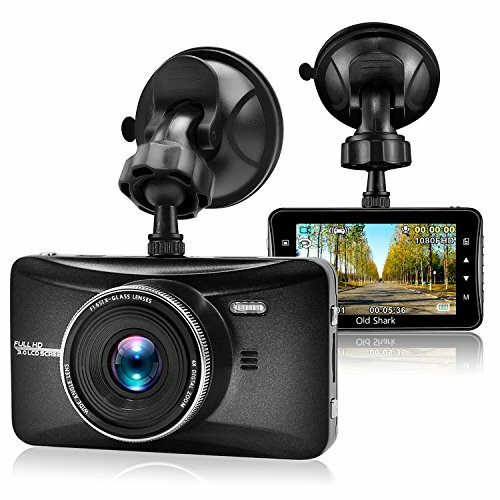 These night vision dash cams range in price as well as size. Some have advanced capabilities, others are less hi-tech. Based on your specific needs and how much you want to spend, you should be able to find a good model that suits your exact specifications on our night vision dash cam list below. Whatever you choose to purchase, a dash cam with night vision technology is a smart investment for any vehicle. How Does a Night Vision Dash Cam work? The WheelWitness is a more expensive version of the Lecmal listed above. Capable of shooting in super HD (2304px1296p) you’ll get a much clearer picture, night or day. The wide angle lens of the Wheel Witness is capable of recording 170 degrees of the road so you not only capture what is immediately in front of you but whatever is going on in the left and right lane and some of the landscape either side of that, too. With respect to night vision capabilities, the WheelWitness boasts WDR technology, which combines several exposures in order to get the best picture possible. In one shot the WheelWitness is able to adjust for the light and dark parts of the frame so that your nighttime shots are always clear and vibrant. The OldShark is another good choice for a night vision dash camera. While the resolution of the OldShark is less than the WheelWitness, filming only in 1080p, the OldShark does boast the same wide-angle lens, capturing an impressive 170 degrees of road view. The OldShark also comes with G sensor technology that automatically locks any video files that were recorded during an instance of unusual vibration. The purpose of this is to ensure that your most important files (the ones that occur during an accident) never get accidentally taped over by the loop-recording feature. The OldShark also comes with parking mode when hardwired to the vehicle. This means that the camera can be set to begin recording automatically whenever it hears a voice or detects a strange vibration. This is especially useful in parking lots, which can often be scenes for bumps and scrapes due to limited space. The Z-Edge is a small square dash cam that looks most like the Senwow discussed earlier. With that said, however, the Z-Edge films in higher definition at 1296p and can capture an impressive spread of the road, 150 degrees of it to be exact. The 2.7 scratch resistant LCD screen is big enough for you to review footage and make edits then and there to your videos. It is mounted to the car via a standard suction cup and is relatively small in size which means it will not be an unnecessary eyesore within your vehicle. Another good feature of the Z-Edge is that it will automatically turn itself off when it reaches 140 degrees Fahrenheit, thus protecting the camera and also your car. In addition to G-sensor technology the Z-Edge also comes equipped with an “emergency” button that supports manually locking videos so the loop recording doesn’t tape over them. This feature is great for instance if you want to lock in a beautiful sunset or an impressive view of the road in front of you. The Vantrue is a higher end night vision dash cam. Owners boast about its excellent night vision capability, which they claim captures important details like license plates and street signs no matter the time of day. This is thanks to the superior HDR technology of the Vantrue X1, which automatically adjusts the exposure so that you get the clearest picture even if the lighting is less than perfect. Furthermore, the170-degree fish eye lens of the Vantrue X1 captures more of the road in front of you. Like the GT Road it too boasts a motion detection parking mode feature, which will begin to record any movement that occurs within 33 feet of the vehicle. To activate this parking mode you must connect the Vantrue X1 to an external battery, usually that of the car – a process known as hard wiring. If you don’t know a lot about the electrical workings of cars, it’s best to take it in to someone who knows what they’re doing. The Smarson night vision camera is a tiny, discreet camera that can be placed anywhere within your car without it becoming a major distraction. Small and compact, it is one of the cheapest night vision cameras on our list. With that said, it still films in HD, 1080p, and boasts a 140 degree wide angle lens. 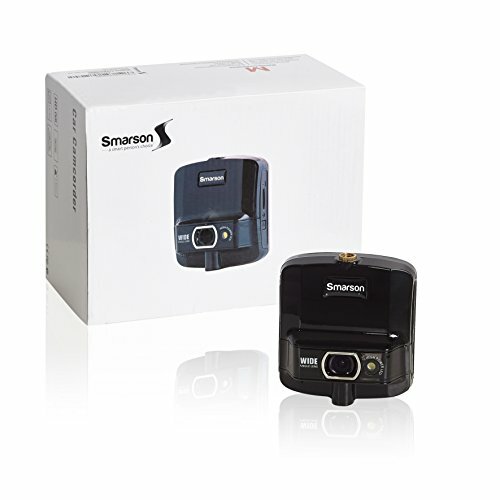 If you’re looking for a no frills camera that won’t break the bank, the Smarson is a good option even though it lacks many of the extra features that come standard with other dash cams like Parking Mode or Wifi capability. 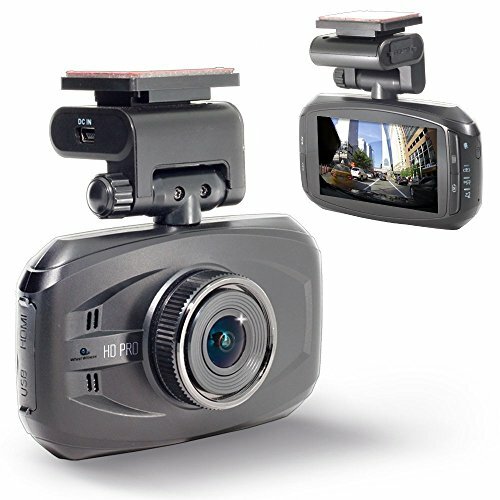 The YI dash camera is an attractive dash cam with a 2.7” inch LCD screen. It comes with ADAS technology which implements advanced visual recognition software in order to ensure safe driving at all times. The YI can even tell you when you are drifting in your lane, warning you before you make a big mistake. With a second pair of eyes on the road, the YI keeps you and your family safe. In addition to Lane Departure technology, the YI uses a 165-degree ultra wide-angle glass lens so that you get footage of all three lanes on a major highway. With built in Wifi capability, the YI also allows you to playback footage on the spot, upload videos to social media sites and YouTube and even share live footage with friends. The DB Power is a night vision dash camera that films in super HD at 1296p. The WDR technology of the DB Power automatically adjusts itself to bright or dark conditions so that you always get a clear shot of the action. The DB Power can accept SD cards up to 64 GB and also includes an HDMI output cable, so if you don’t want to watch your videos on the 2.7” LCD screen, you can always transfer it to your computer, smart TV, or tablet. Another good thing about the DB Power is its durability. The battery of the DB Power can withstand high and low temperatures, making it ideal for someone living in extremely hot or cold climates. The Napoer Road Dash is the most economical night vision dash cam on our list. Like its cousin, the Lecmal, the Road Dash offers some of the most basic capabilities including night vision, motion detection and even a G sensor. While the picture may not be the clearest of the cameras on our list, the Napoer still makes for a good choice. If you aren’t looking to impress friends with videos of your cross-country road trip and only need a dash camera to serve as a second pair of eyes, the Napoer Road Dash will do the job. If you’re looking for anything more than that you may want to look elsewhere as the Napoer Road Dash offers you only the most basic functionality. The Lecmal is a simple night vision camera that attaches to your windshield with a suction cup. Small, straightforward, and affordable, the Lecmalfilms in 1080p regardless of whether it’s night or day. 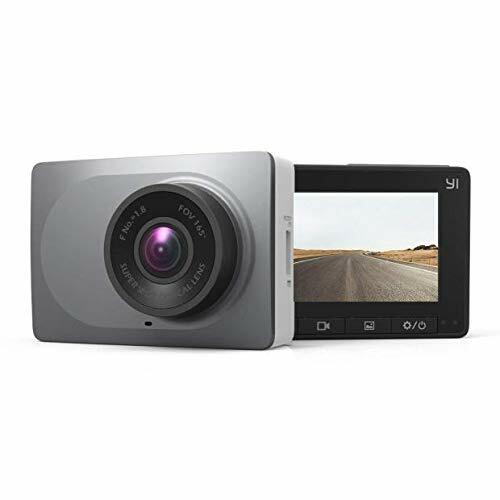 The two-inch LCD screen allows you to preview and edit videos right on the spot and the lens is wide angle, capturing 120 degrees of the view in front of you while you drive. Easy to install, the Lecmal also comes with features like continuous recording which means that when the camera runs out of space on the SD card,the device will rewrite over the oldest files first so that you never have to worry about running out of room or missing footage because the card was full. The Senwow, like the Lecmal, is another affordable night vision camera with loop recording. Unlike the Lecmal, which is rectangular in shape and looks like a standard point and click camera, the Senwow is square-shaped and smaller making it easier to position within the vehicle. The benefit of a small, conspicuous camera like the Senwow is that it doesn’t draw unnecessary attention from thieves. Furthermore, if you are using the camera to keep watch over your vehicle, the last thing you’d want is for the perpetrator to spot the camera and get away with it. A small camera like the Senwow means it’s also less likely to take up space in your vehicle, which could prove distracting or aesthetically unpleasant. The Goluk T2 is the first cylindrically shaped night vision dash cam on our list. It is also one of the most expensive options. But the truth is, with the Goluk T2 you get what you pay for. In addition to holding SD cards up to 64 GB, the camera is the first one on this list to come with Wifi technology. The benefits to having Wifi on a dash camera is that it allows you to instantaneously upload videos you take on the spot. This is especially useful for avid users of social media who like to post reportsof their drives across country or the dangerous actions of other drivers out on the road. The design of the Goluk T2 is compact and very attractive and probably unrecognizable as a dash camera to someone who has never seen one previously. This is a good thing as it means it is not an easy target for thieves. The Goluk T2 is especially good at capturing images in low lighting conditions and has a highly sensitive G-senor to boot. Another interesting feature of the Goluk T2 is the Magickey feature, a handheld device included with the camera, which will take a 12 second video of the road in front of you whenever you click the appropriate button. Great for sharing live updates with friends or scenes form your drive over the Internet. The GT Road dash cam with night vision promises to keep good watch over one of your most prized possessions. The GT Road films in 1080p and works well both during the day and at nighttime. The GT Road can also be used as a parking monitor when hardwired to your vehicle. This means that if it detects motion around the car it will begin recording. This is great for ensuring your car stays safe in the parking lot while you go inside the grocery store. If you get hit and you don’t have an account of the incident, you may have to pay out of pocket for repairs. A night vision dash cam would be a prudent investment for anyone who does a lot of driving at night, like a cross-country trucker or a taxi driver. The benefits of a night vision camera are many. For one, if God forbid you were to be involved in a crash at night, the night vision dash cam would be able to provide law enforcement with undeniable proof of what happened during the incident. Furthermore, in an insurance dispute, the situation wouldn’t have to devolve into a he said she said. You have clear evidence. This may protect you from being blamed for something that wasn’t your fault. In terms of the law, this could save you a ticket or even time behind bars. In terms of your insurance, if you can prove that you were innocent, then you could stave off a spike in your insurance deductibles each month. Some night vision dash cams come with GPS technology allowing users to track their location and their speed. A night vision dash cam would be useful for a fleet of truckers as it would allow the boss to know exactly where the supplies are, how fast they are being driven, and an approximate date and time when they are set to arrive. It also keeps workers honest, as you can check to make sure your drivers are where they say there are. A night vision camera also could help absolve you of responsibility if you were to collide with an animal on the road at night. Deer have been known to run across roads without warning, especially at nighttime. To explain the incident as an act of God to the insurance company, it would be helpful to have proof. Night vision dash cameras are not only good at night but also in low lighting conditions during the day as well. Consider driving in a long tunnel or through a dense forest. Night vision would capture your journey best regardless of how much natural light is available. Furthermore, if you keep your card in an underground parking lot, this night vision capability could watch over your car. Small bumps frequently occur in dark parking lots. The main benefit of the night vision dash cam is that you are guaranteed comprehensive coverage of your vehicle regardless of what time of day it is. Installing a night vision dash cam brings with it a peace of mind. You can rest easy knowing that whatever happens there is an accurate record of it. Few dash cams are truly night vision in the sense that they can record footage in pitch-black conditions. But then again, it would be rare to find yourself needing to record footage of a road as you drive with your lights off. Night vision dash cams rely on your headlights to provide a minimum amount of lighting so that an image can be recorded. Good night vision dash cams can pick up could footage even in poor lighting conditions. What night vision technology is, then, is not exactly what it sounds like. Instead of seeing in the dark, night vision technology enhances the image that is available, automatically adjusting levels to make the best possible picture out of what it has. The more light that night vision technology has to work with, the better picture it can create. In extreme low lighting situations even night vision technology might not be able to do much. Cheaper dash cameras that advertise night vision capabilities sometimes come with LED lights. The claim is that these LEDs provide more lighting for the camera. The truth is that many people have noted that these LED lights actually cause distracting glare and unnecessary light on the windshield. Not only could this affect your picture quality, but it could also prove downright dangerous and distracting to yourself or other drivers. Many people advise against night vision dash cameras with LED lights, or if they come with the camera, they advise to turn them off for safety reasons. Headlights are much stronger anyway. All in all if you’re in the market for a new dash cam, it’s definitely wise to purchase one that comes with night vision technology. Chances are you’ll be doing just as much driving at night as you do in the day and this added bit of security could mean the difference between getting a ticket or getting stiffed with the blame after an incident occurs. With that said, night vision technology does not mean that it works without an external source. It is not true night vision in that it can penetrate total darkness. Instead, night vision technology in dash cams will always rely on an amount of external light. Whether it’s the light of streetlamps, or headlights, or from businesses on the side of the road, or from oncoming cars, or gas stations, or even from the moon, the night vision dash cam relies upon this to make its footage. Night vision technology merely improves the quality of the footage you take when it’s at night by adjusting the camera levels automatically to create the best possible recording. Naturally the footage you record at night will never be equal to the crisp clear footage your cam records by day. The more light the clearer the picture. But at nighttime, it’s wroth sacrificing some clarity and color for a true record of your travels. Should you get into an accident in your vehicle at night, chances are you’ll be far more concerned about the sequence of events than the pixelated image on the screen. What you’re looking for is a basic recording of the event in question, and a dash cam with night vision capability will give you that when you need it most.